It was the perfect play to pull out a hard-fought rivalry game … almost. Bishop Gorman, trailing the nation’s No. 1 ranked prep team, Findlay Prep, 50-49, with 1.1 seconds remaining, had star 7-foot forward and future NBA Lottery pick Stephen Zimmerman break open to the right side of basket for what looked like would be the game-winning basket. But 6-foot-8 forward Horace Spencer had other ideas, going up and blocking the shot at the buzzer as the Pilots hung on for the dramatic victory. Spencer was asked if there was any contact on the play? 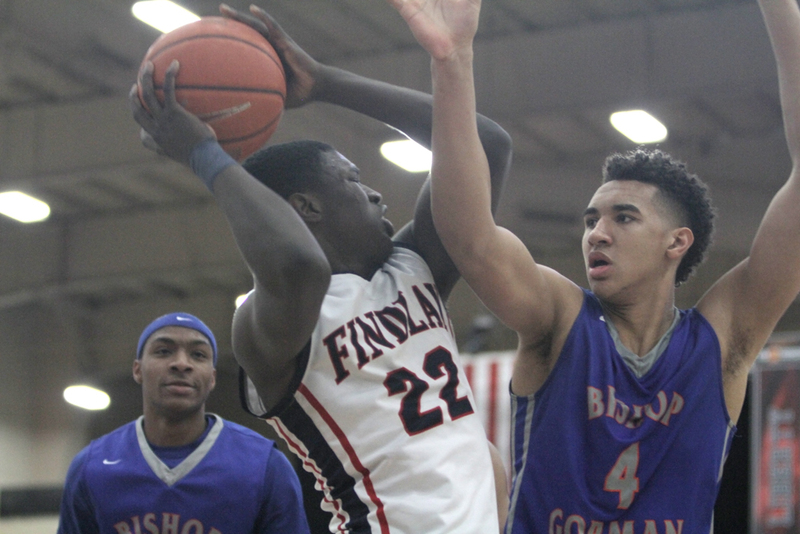 Many Gorman faithful felt Zimmerman was fouled on the play. But in a very physical game that at times looked more like Greco Roman wrestling under the hoop, their was no way short of decapitation that officials were going to blow a whistle at the end of this one. 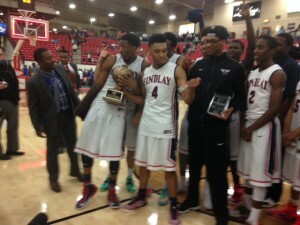 Arizona-bound guard Allonzo Trier scored a game-high 26 points and had four steals to lead Findlay Prep (18-1), which could have exhaled two seconds earlier if not for a five-second violation trying to inbound the ball. The Pilots still had two fouls to give and fouled Charles O’Bannon, who scored 18 points, on the ensuing inbounds play. Officials ruled the foul occurred before O’Bannon attempted a 3-pointer. That set the stage for Spencer’s game-saving block. Zimmerman finished with 10 points, six rebounds and four assists while Chase Jeter and Zach Collins scored eight points each for Bishop Gorman (15-6). Findlay Prep’s win was even more impressive considering one of its best players, 6-8 do-everything junior forward Justin Jackson, didn’t play after tearing meniscus in his left knee in a 76-68 overtime loss at No. 17 ranked Wayne High of Huber Heights, Ohio on Monday night.